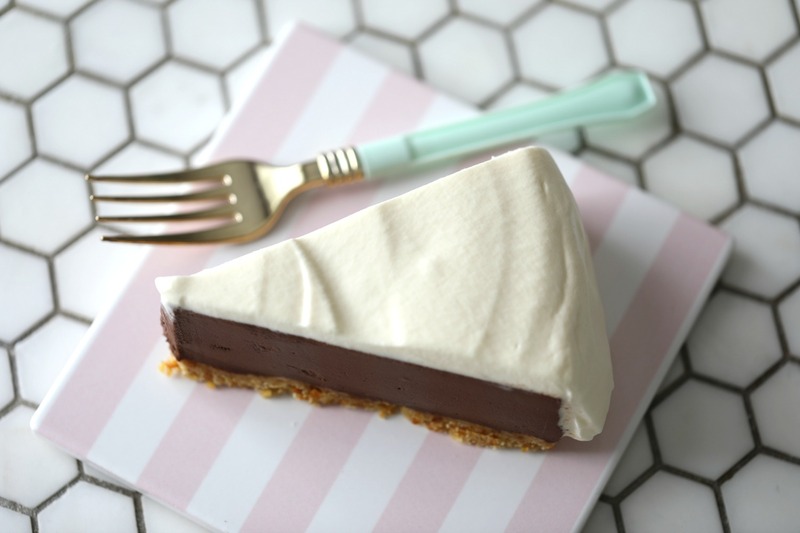 I hope you are enjoying your summer, Yesterday I made a delicious chocolate cheesecake with a sweet-salty crust. The crust I made from salty cheese crackers and melted sugar that I turn into a caramel. 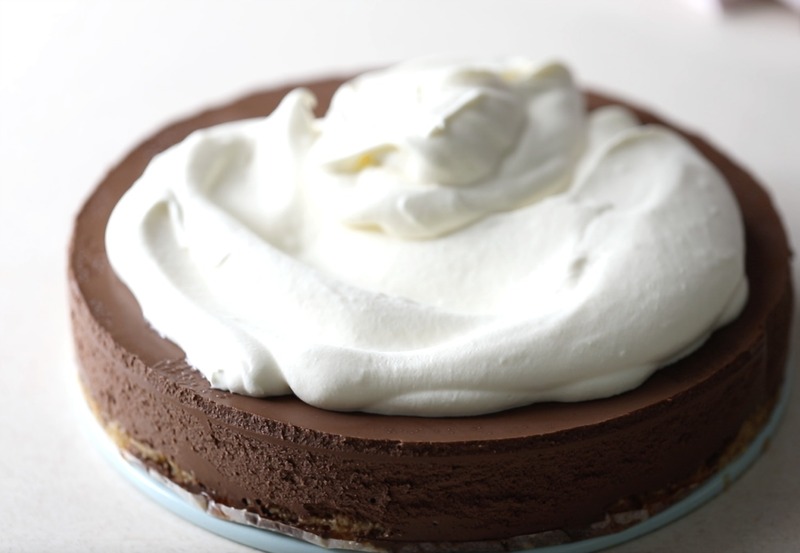 The combination of the chocolate cheesecake, the sweet and salty crust and whipped cream is a perfect combination. 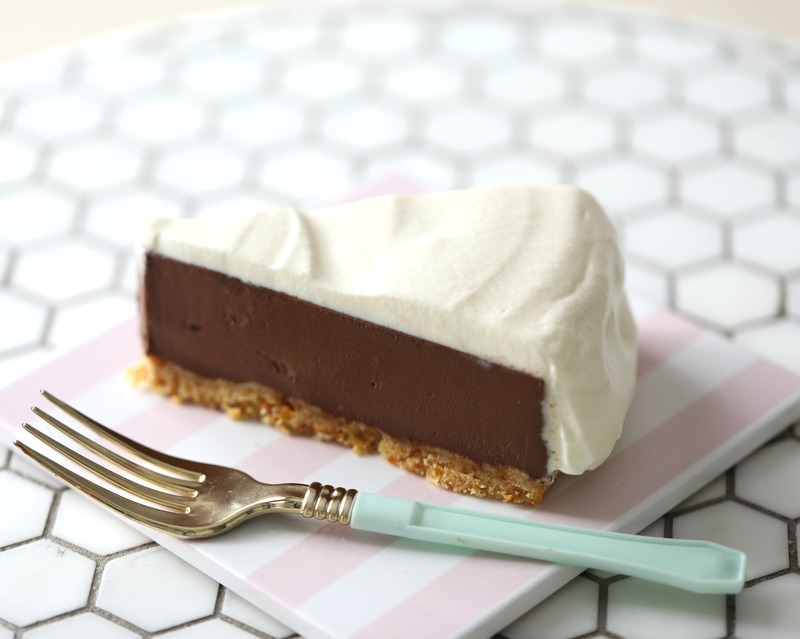 The cheesecake is not too sweet, it is crunchy, a bit salty from the cheese crackers and the chocolate cheesecake filling is just heavenly, it is so rich and dark, and lush! 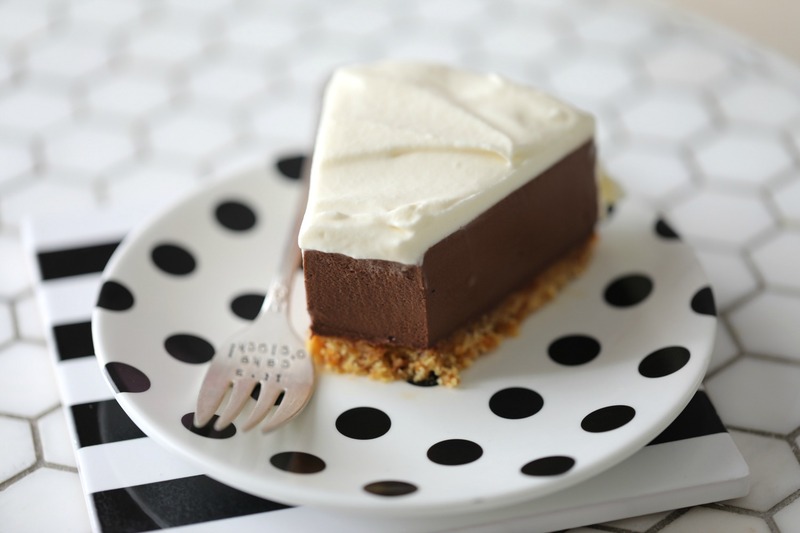 If you love chocolate, you definitely need to try this one! 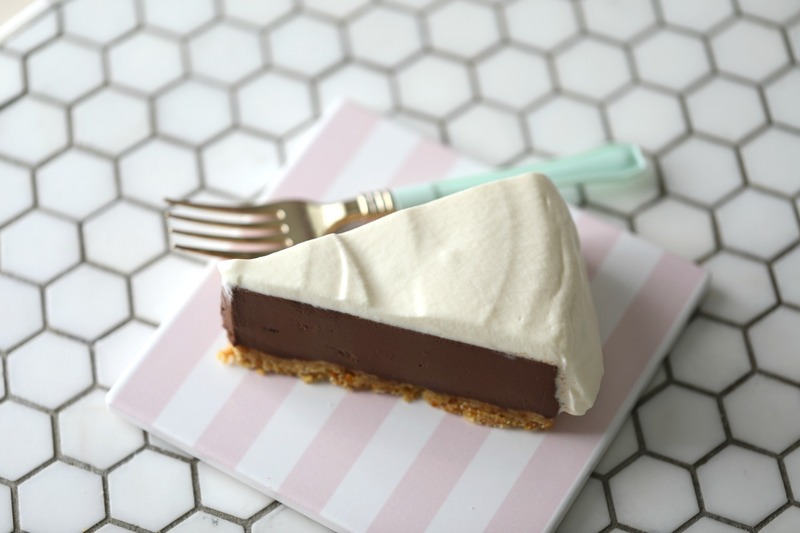 NO-BAKE CHOCOLATE CHEESECAKE WITH SWEET -SALTY CRUST. 8 gelatin leaves, soaked in cold water for 10 minutes. 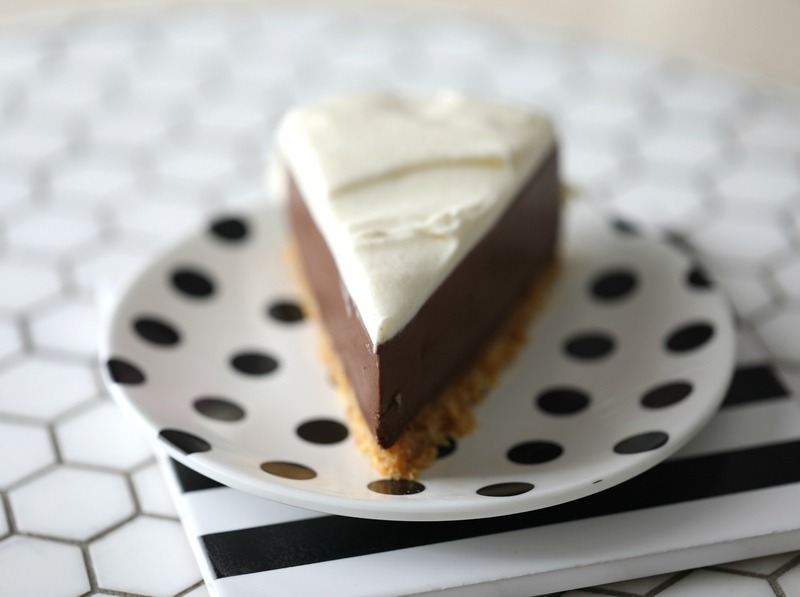 DIRECTIONS FOR THE SWEET-SALTY CRUST. Grease a nonstick half sheet pan, and set aside. 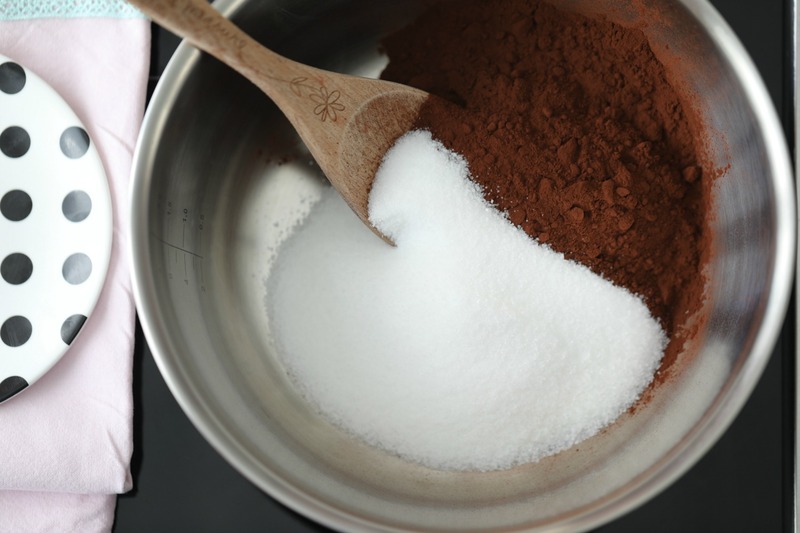 Add sugar to a cast-iron skillet or a heavy deep medium saucepan. 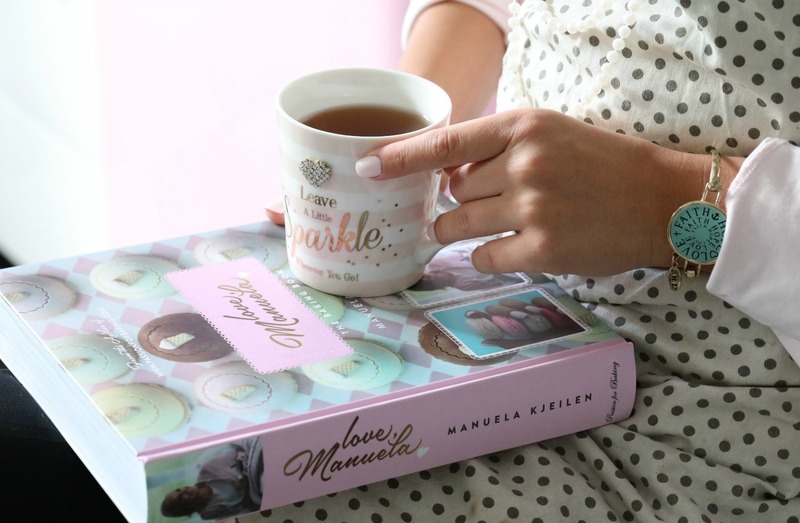 With a wooden spoon, stir over medium heat until the sugar dissolves and turns into a syrup. Continue stirring until the syrup turns into a dark amber color. Add the salted cheese crackers and quickly combine. Pour the hot mixture into the prepared sheet pan, Leave to cool for 20 minutes. Once cool, break it up into smaller pieces and place it into the food processor. Blend for å a few seconds, you want it to be grounded but still has some bigger pieces! 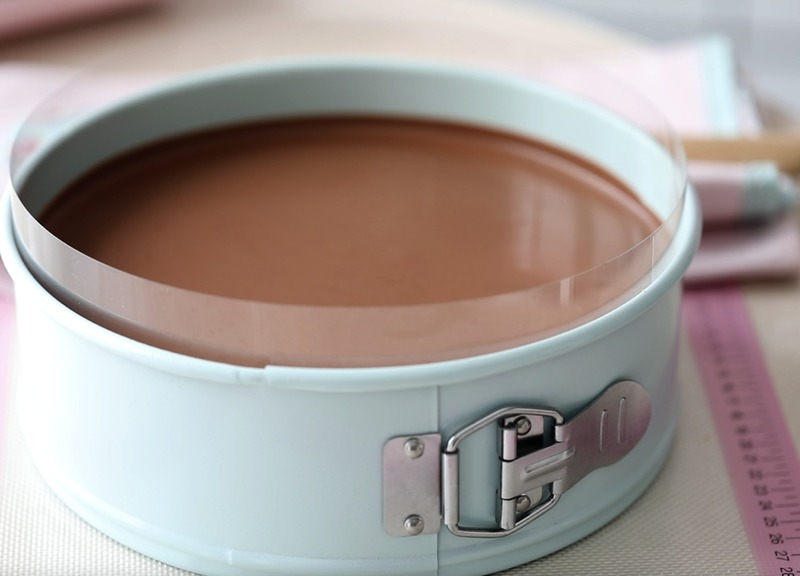 Grease the inside bottom of a 9-inch (24-26 cm) springform pan with baking spray. 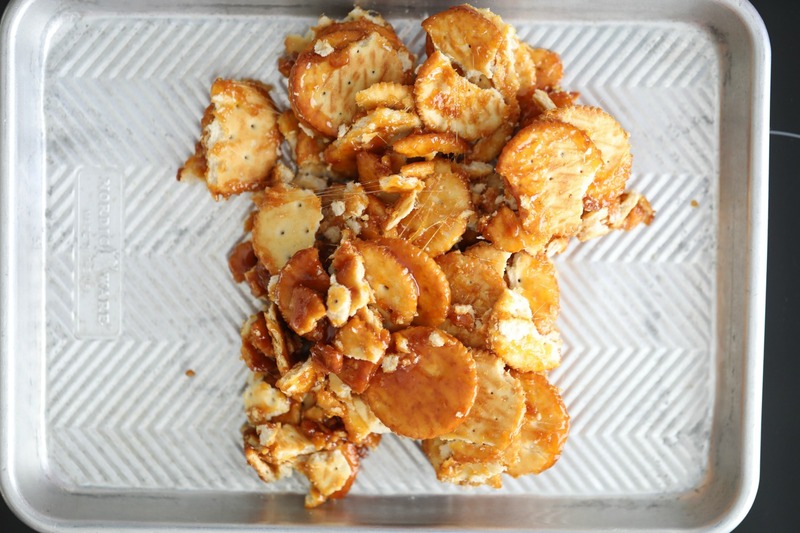 In a medium bowl, add the crusted cheese crackers/sugar pieces, add melted butter and combine with a spatula. 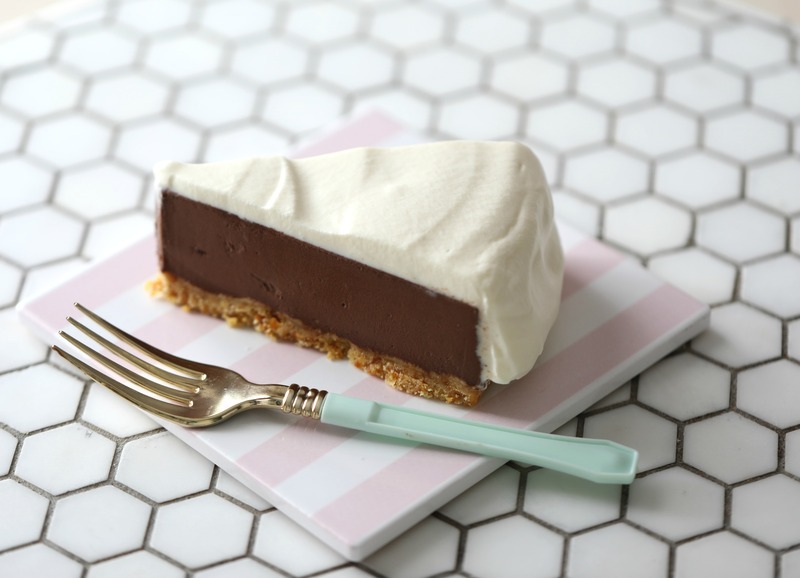 Set aside while you make the delicious chocolate cheesecake filling! 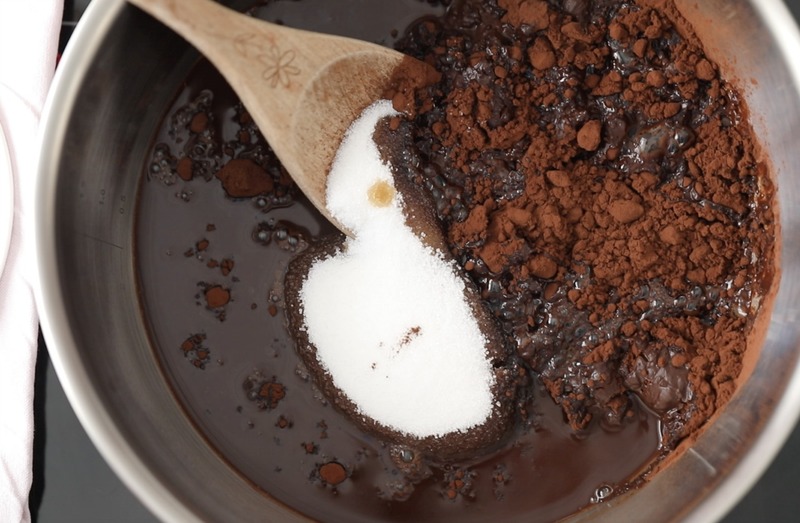 Combine cocoa, sugar, and coffee in a small saucepan. 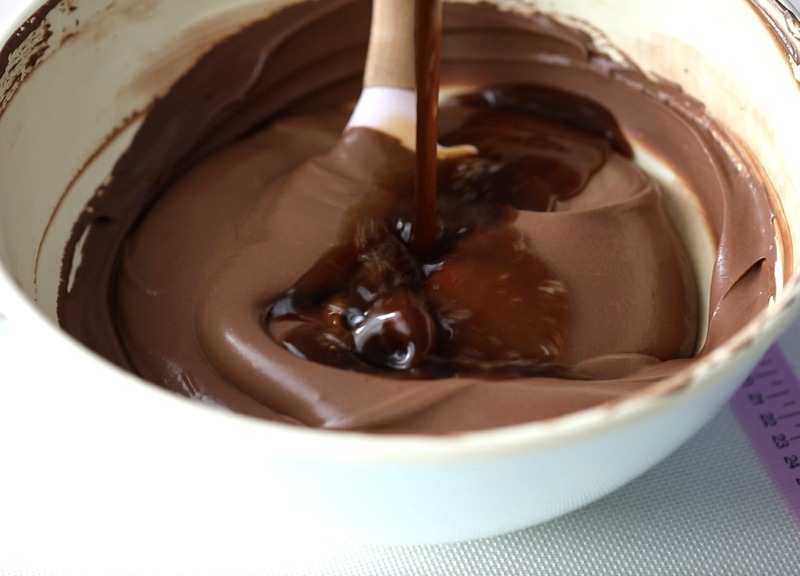 Bring to a boil over medium heat, stirring constantly to dissolve the sugar and to remove any cocoa lumps. As soon as the syrup starts to bubble, turn off the stove. 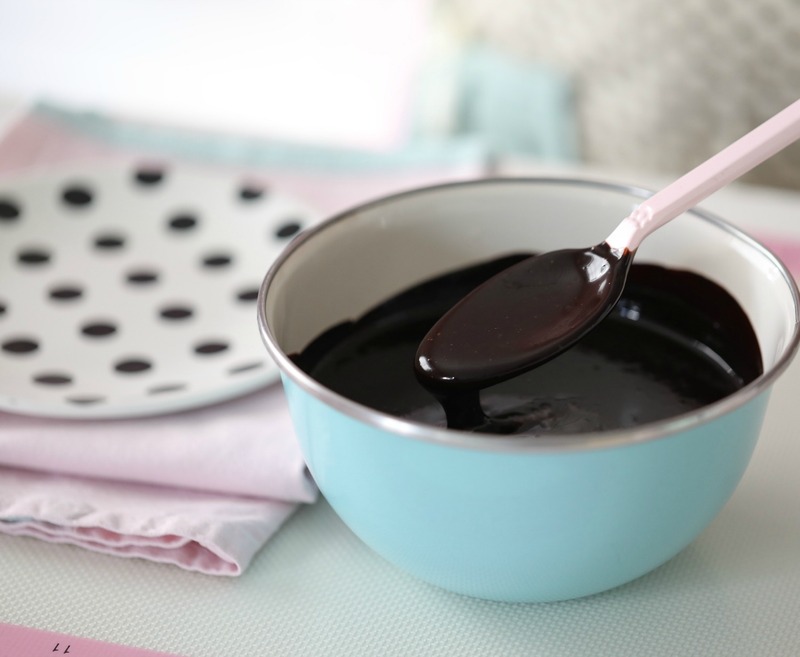 Add chopped chocolate or chocolate chips, with a whisk stir the syrup until smooth. Transfer to a bowl and cool for 10 minutes. 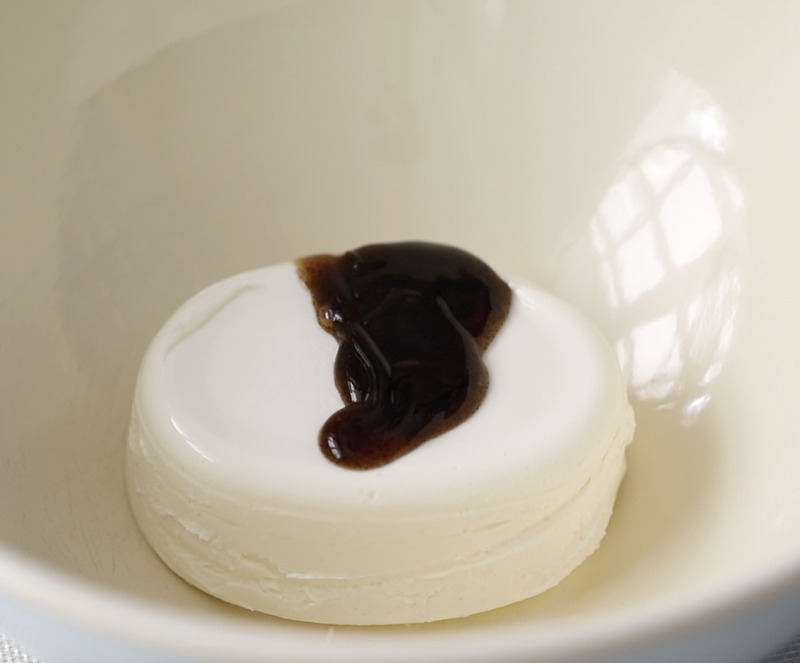 Place the gelatin leaves in cold water for 10 minutes. 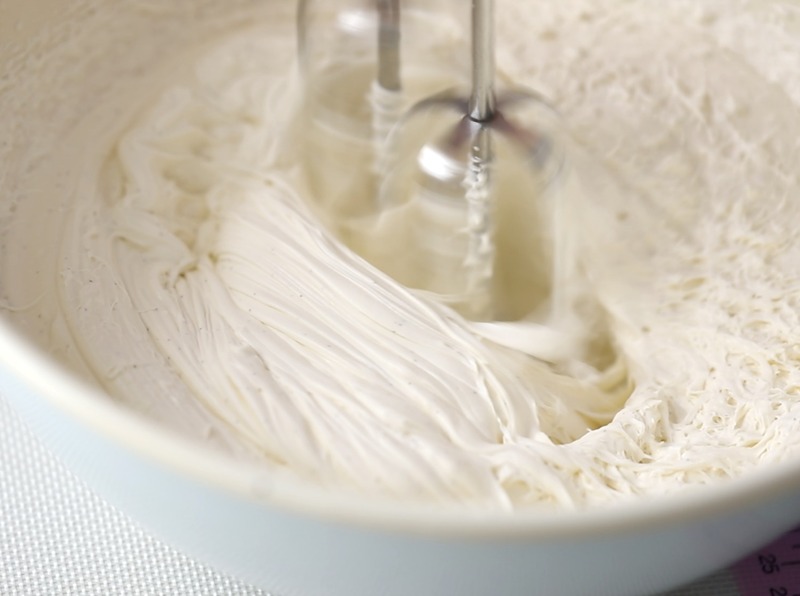 In a medium bowl, add the softened cream cheese, vanilla, and heavy cream. 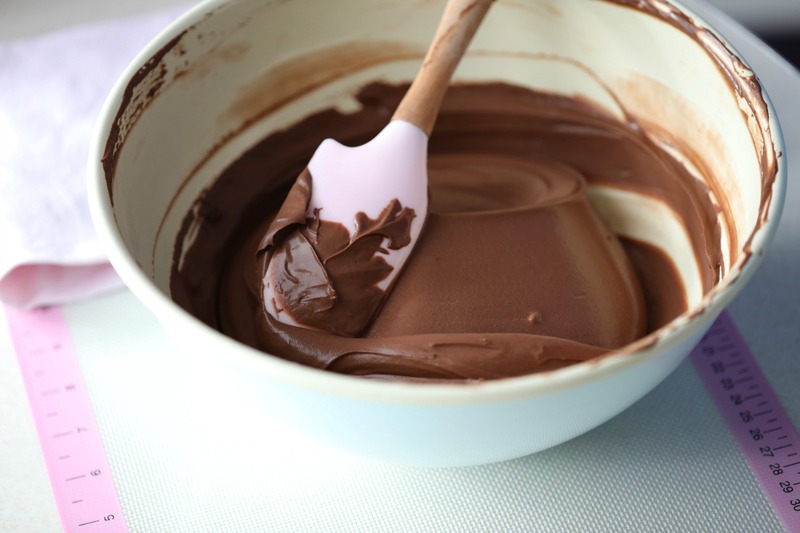 Add the cooled chocolate syrup, and combine it with a spatula until smooth. 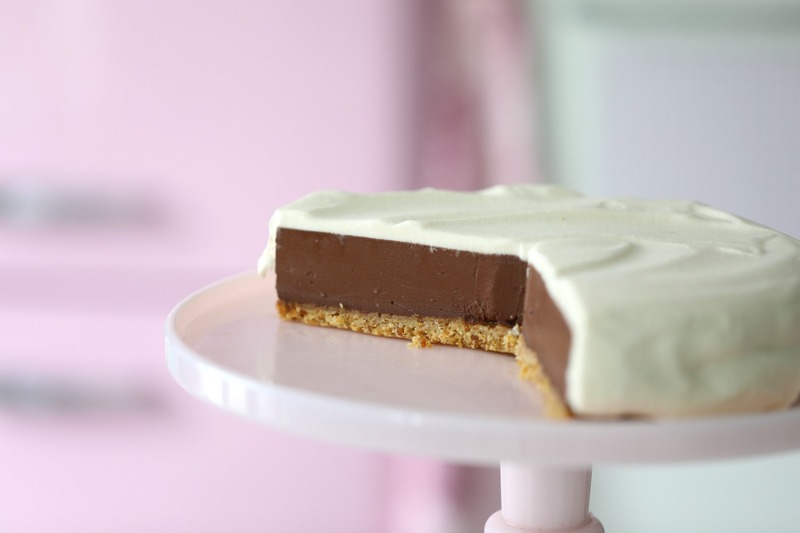 Take the soft gelatin out from the cold water. Wring gently to remove excess water, then add to warm coffee, stirring until dissolved. Leave to cool for some minutes. 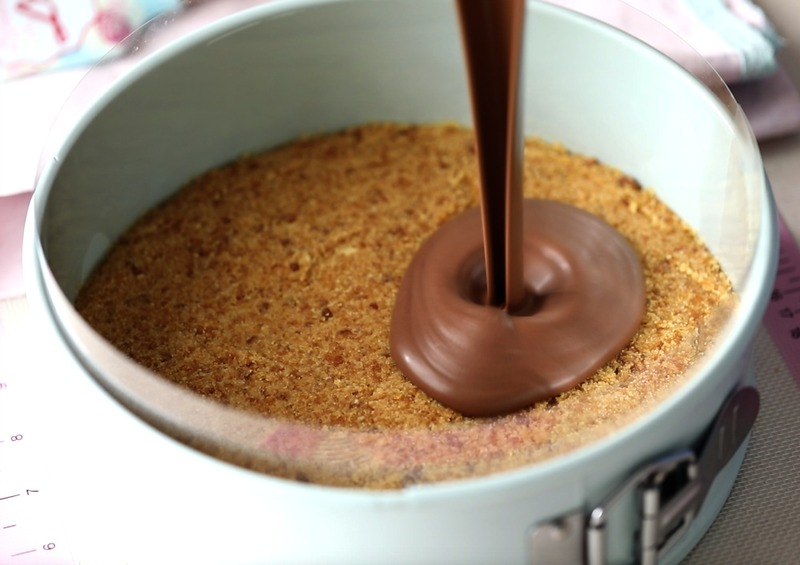 Add the gelatin/coffee mixture to the cheesecake batter, and combine with a spatula. 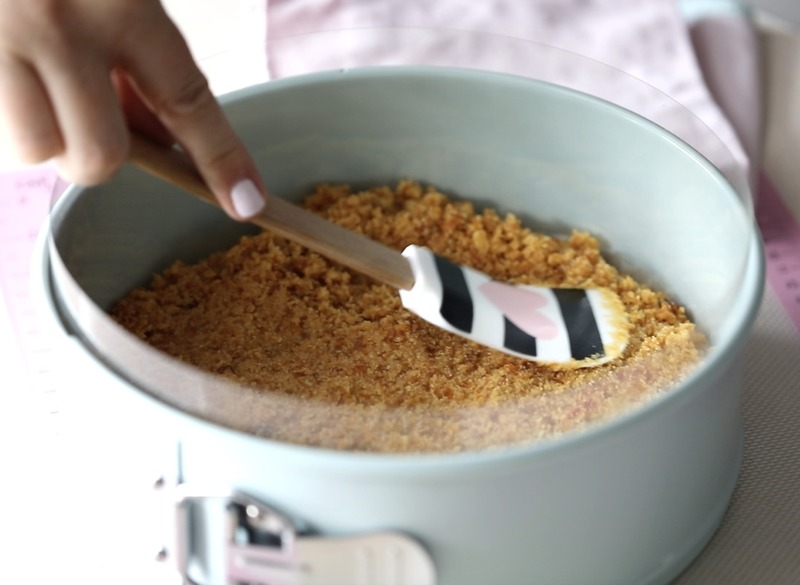 Pour the mixture into the prepared pan over the sweet and salty crust! 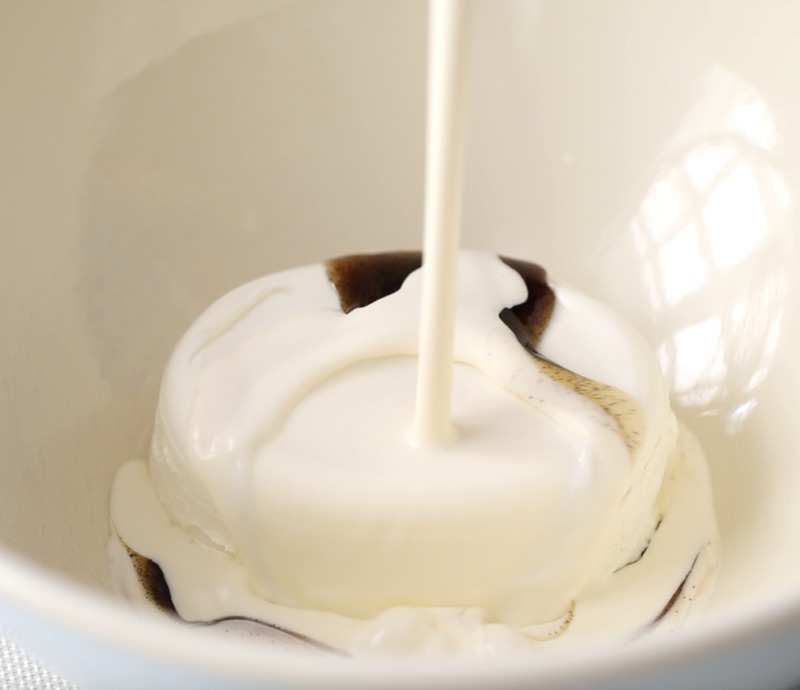 Place the springform in the refrigerator until firm about 5 hours. 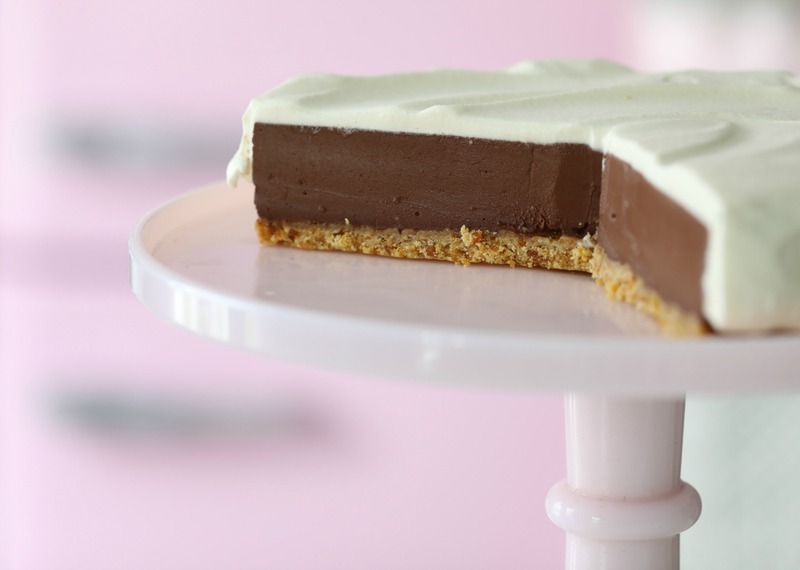 Just before serving to take the cheesecake out the fridge, unmold it and place it on a cake stand. 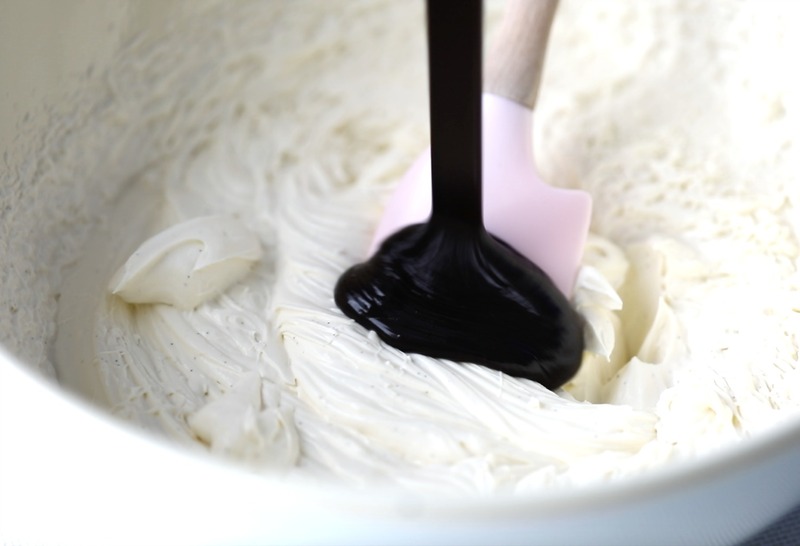 Whip up the heavy cream with confectionary sugar and vanilla until almost fluffy. 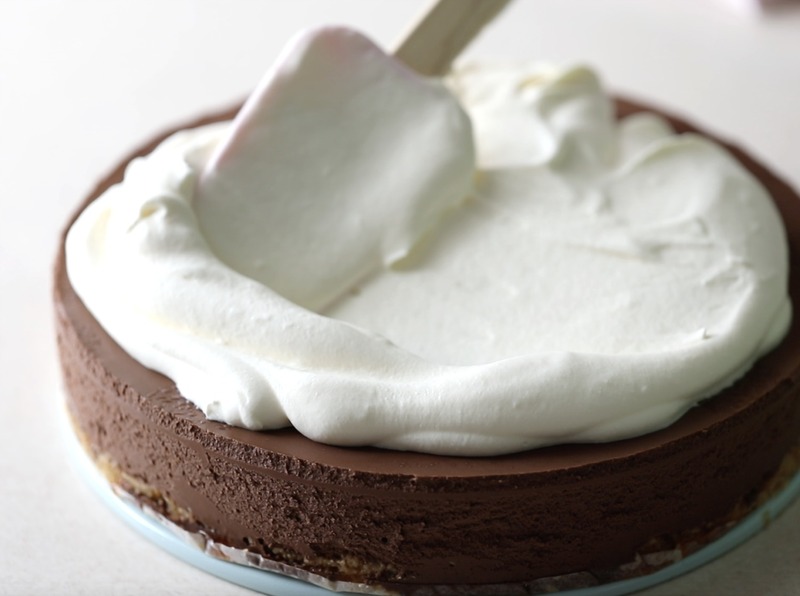 Cover the top with the whipped cream, I spread it a bit over the sides as well with a spatula. 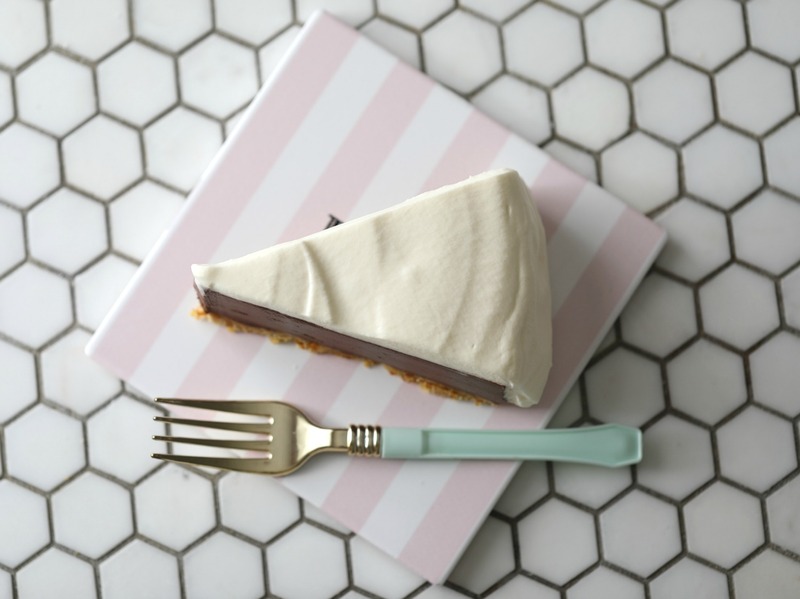 Have a beautiful day and summer you all, check back soon for more delicious recipes. 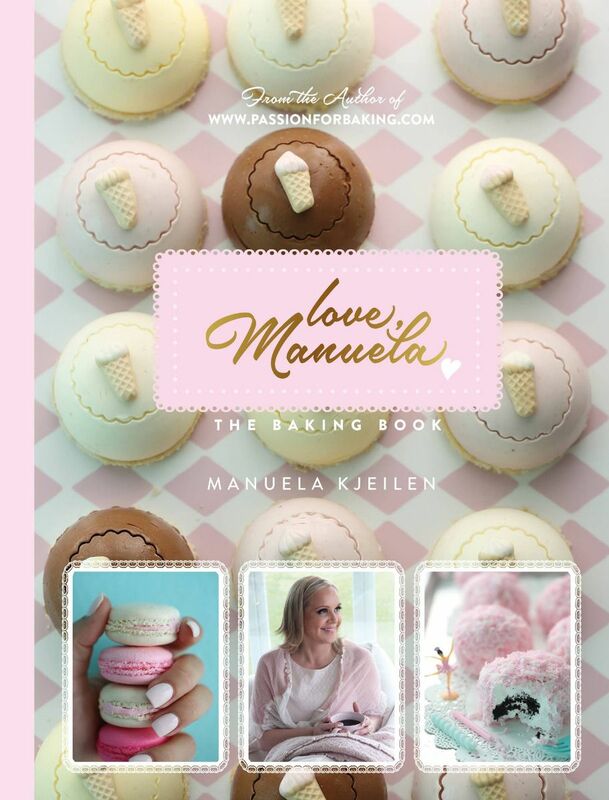 And if you love my recipe, you can find more than 150 recipes in my baking book Love Manuela available for order →here; we ship worldwide! FEW STEP BY STEP PICTURE, VIDEO COMING SOON!